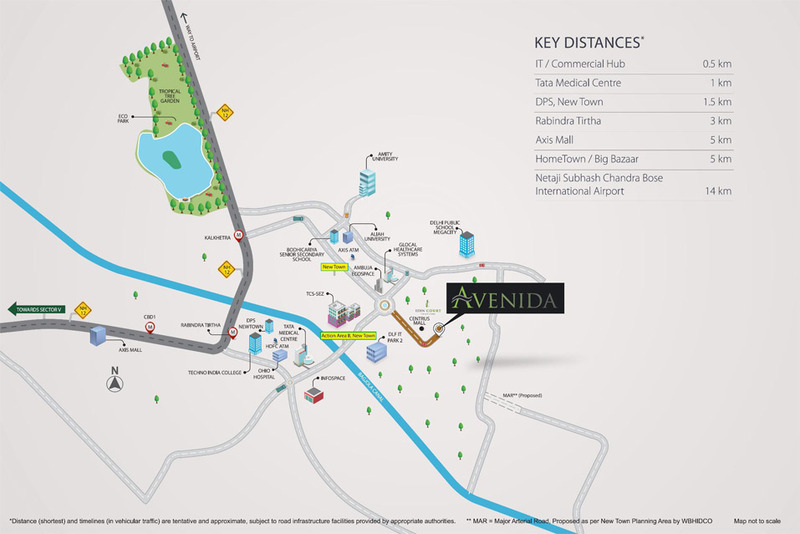 Tata Avenida: A luxury at Affordable prices! Tata Avenida is a recent project that offers contemporary living and is developed by the Tata Housing Group. It is coming up in a posh locality of Kolkata. Kolkata is a calm historical place with all elements of modernity packed to your benefit. It is also a fast developing metropolitan city that comes with all the comfort of good living. Kolkata also has a great nightlife for those who love to party. Reasons galore why it is becoming a favourite dwelling place for modern inhabitants! This splendid property is constructed across 13 acres of land. The residential configurations are available as 3 and 4 BHK units. The apartments are well made with all modern amenities at your service. The amenities comprise of a quiet reading corner, spa, gymnasium, music, café’ to satiate your palate, clubhouse for entertainment, and a swimming pool. To bring the best to you, there are some ultra-modern super luxuries like laundry facility, vegetable shop, kids’ playroom, novelty store, jogging track, tennis & cricket ground, stationary shop, cycling track, pet park, tea bar, etc. 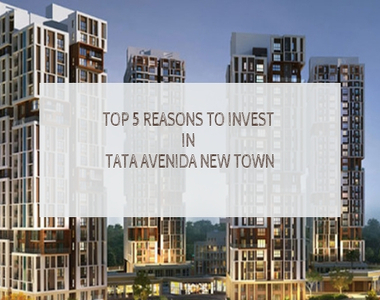 Tata Avenida New Town apartments are made beautifully with heart-warming interiors. The bedrooms are very cosy and give a touch of elegance and class. The size of these apartments varies from 86 sq. mtr. (Carpet Area) to 175.5 sq. mtr. (Carpet Area) There are 29-storeyed towers with a spacious parking facility for specially-abled people and visitors. The apartments are made with an air-conditioning provision in living room and hall room. The houses are well-ventilated to allow ample air and light to flow through. 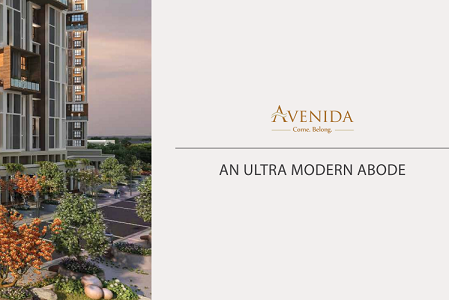 Tata Housing Avenida is a one-stop solution to all the basic and luxurious requirements of a modern fast-paced living. The flats have been designed in such a manner that you have complete privacy in staying with your family and at the same time, you have all the benefits of living in a gated community. Tata Avenida floor plan is available to help you understand the construction plan. TATA’s are known for using the best quality resources and the best of modern technology to help you bring high-quality worry-free living. 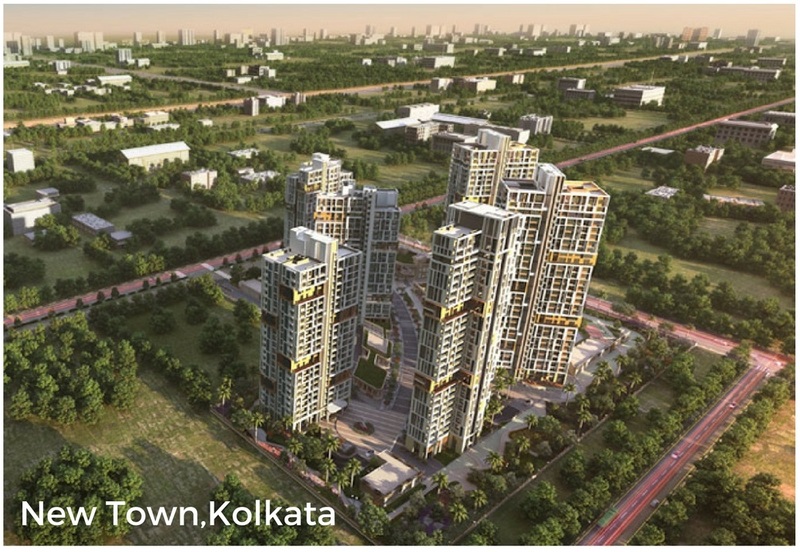 Tata Avenida Kolkata is coming up at Action Area II in Newtown, Kolkata. The location offers the convenience of accessing key commercial destinations in a short span of time. The international airport is hardly 20 minutes away, the IT commercial hub is just 0.5 kms away, the Axis Mall is just 5 kms away from this place, the DPS New Town is hardly 1.5 kms away, and the TATA Medical Centre is just around the corner. Besides, there are plenty of schools and colleges in the vicinity of this property to take care of the educational needs of your children. This property is also well-connected to the rest of the city by rail and roads and this makes it absolutely convenient to commute quickly in all directions. Looking at the amenities and the quality of living this property offers, the pricing is quite reasonable, and there are easy payment options like EMI and loan facility available to address your financial concerns. It is a great investment property which offers a quality living in the vicinity of commercial infrastructures of Kolkata. An early approach would be much beneficial considering the growing demand for Apartments in Kolkata. Parking facility for visitors and specially abled people. Ramp facility for convenience of senior citizen and specially abled people. All habitable spaces well ventilated to maintain indoor air quality. Located at Plot No. II G/7, Action Area II, Newtown, Kolkata. IT Commercial Hub - 0.5 Km. Tata Medical Centre - 1 Km. DPS, New town - 1.5 Km. Rabindra tirtha - 3 Km. Axis Mall - 5 Km. Central Big Bazaar - 5 Km. Netaji Subhash Chandra Bose International Airport - 11.5 Km.